I always knew I wanted to become a mother. I also always knew that I didn’t want to be a working mother, especially in the first few years of my child’s life. 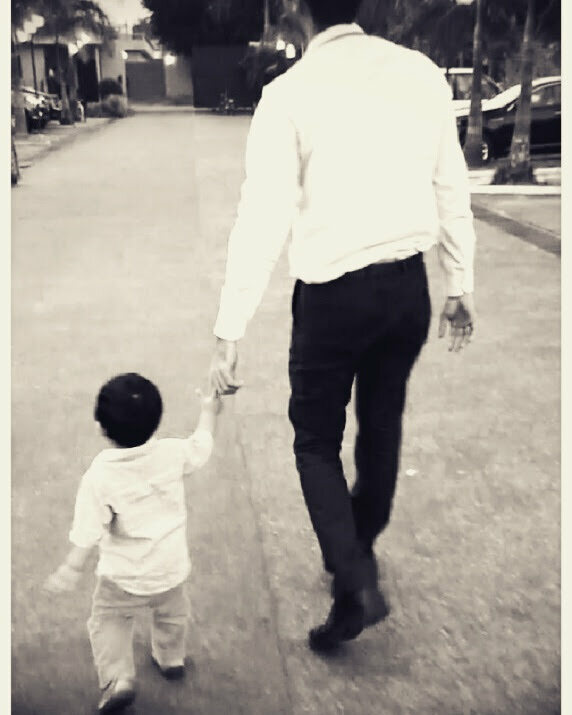 I wanted to be around, to watch my little one achieve his milestones, to hear his first words, to see him take his first steps and to spend time teaching him all the little and big things about the world. So I did that. I was lucky that my husband was in a comfortable job and that we could afford to let go off a second pay-check. I did try to continue writing and blogging, but the focus of my life was my baby. I will not deny that at times it was overwhelming. My mother or mother-in-law did not live with us and it was a huge help to have a nanny step in some times. In the evenings, when my husband came in from work, I was happy to hand him the baby and step out for a walk or take a long shower. Yet, I was the primary caregiver. I have prepared every single meal for my little one ever since he was born and continue to do so. I have nursed him, bathed him, taught him how to eat on his own, how to recognize animals and shapes, how to communicate with the world and I do not regret any of it. When my son was a year and a half, we came to Canada. By this time, I started realizing that I needed a break. 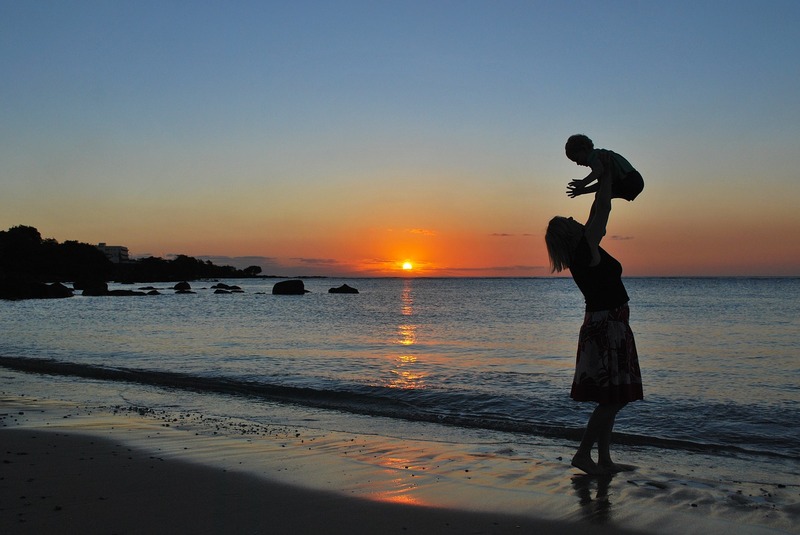 Of course, there are no vacations when you’re a mother, but I started considering the idea of being the earning member, letting my husband take on the role of the primary caregiver. He had, after all, many a times teased me about having the more ‘tempting’ option of staying home with the kid while he slogged at work. Even though I used to tell him I‘d gladly swap roles, I don’t think he believed me. When I actually started applying for every job offer that came by in the local area, including the ones that paid minimum wage, my husband realized I was serious. By this time, we had started growing microgreens at home, which are in demand at some gourmet restaurants, health stores and at farmer’s markets. Little by little, I have taken on the lead role in the business, spending hours harvesting and packing these greens and facing off with customers at the markets. This means that my husband often steps into my shoes for hours at a stretch, taking care of our son back home. At about two, he’s a toddler charged with super-energy. Bathing him, feeding him, keeping him from getting into trouble and finding constructive ways to burn off his energy can occupy one adult full-time. I still prepare the meals, make sure our son and we always have washed laundry, clean up what seems to be a forever-dirty house and generally keep the house in running order. But I’m happy to get a few hours off. I love being out at the farmer’s markets, meeting new people. I love tending to our plants, watching them grow. I love knowing that what we do, makes a lot of people happy and healthy. And I won’t deny, I enjoy watching my husband ‘mother’ our son. Of course, he’s discovered it drains his energy. That the little boy he used to play with at the end of the day can also lead him to tear his hair out in frustration. My husband has always been a very hands-on father. He’s helped me with our son whenever he could, despite his long and hectic office hours. But for him the child was always a welcome change. Now that he is often the primary caregiver, with no one to fall back on, he too loses his temper, he too gets exasperated. It helps me forgive myself for often having been driven to the edge and thinking I was a bad mother. I am learning that every parent feels challenged. Sometimes I feel guilty about putting my husband through these difficult parenting hours. But then I tell myself, I’ve earned a little time off. After all, for nearly two years, there was little else in my life but our baby. With a few hours off now, I am able to come back refreshed to my baby. I miss him and want to baby him when I’m back. Yet, I am able to carve out an identity for myself, apart from that of a ‘mother’. I know many parents talk about swapping roles. Sometimes, you just should. Not for a day, but for a couple of weeks. A father can’t know what it was like to carry the child in your body for nine months, what it was like to squeeze that life out of your body, what it was like to nurse and feed the baby. But he sure can be a ‘mother’ once the baby is born. He can be the primary caregiver. He may struggle through it at first, but well, a mother was not born a mother. She too learned to be a mother and he too will learn. More importantly, it will give both partners a better understanding of each other’s roles!